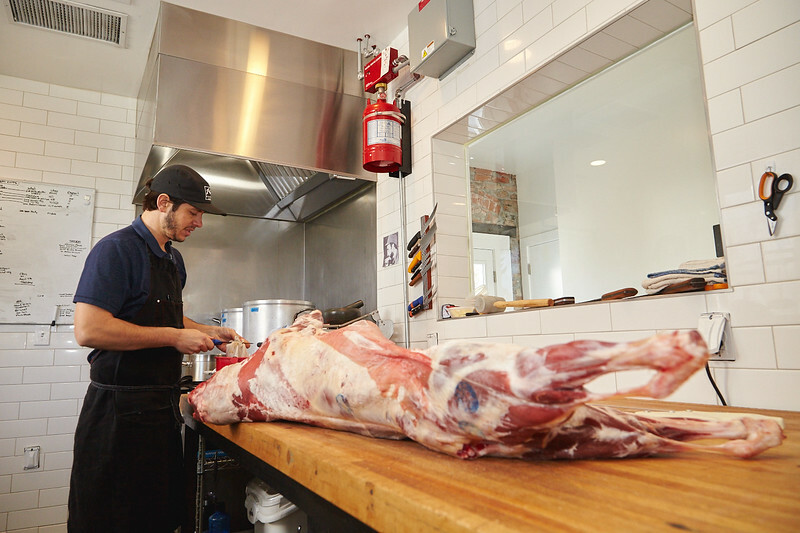 These images were originally commissioned to accompany a piece by Alex Springer in the Salt Lake City Weekly Dining Guide. 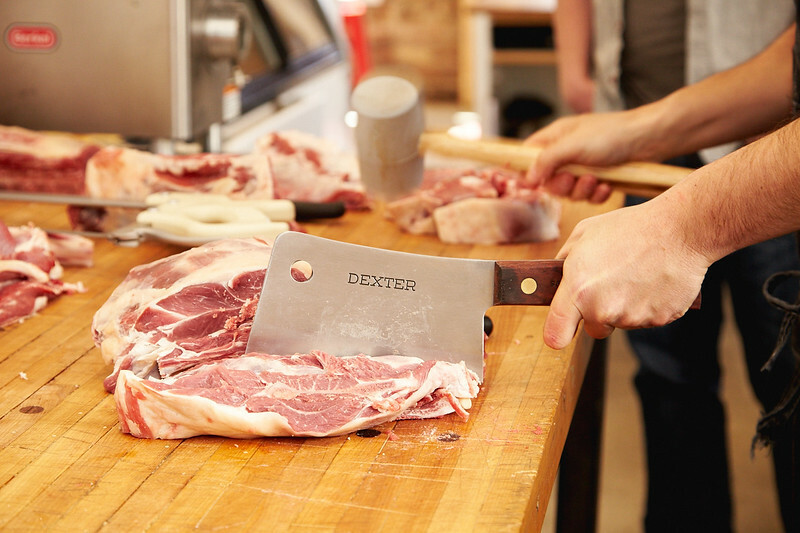 Beltex Meats is a small butcher shop in central Salt Lake City that specializes in whole-animal butchery. 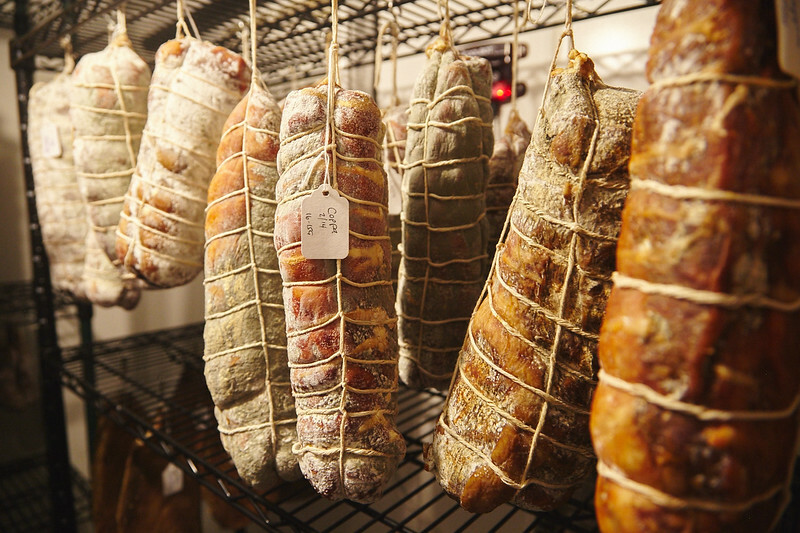 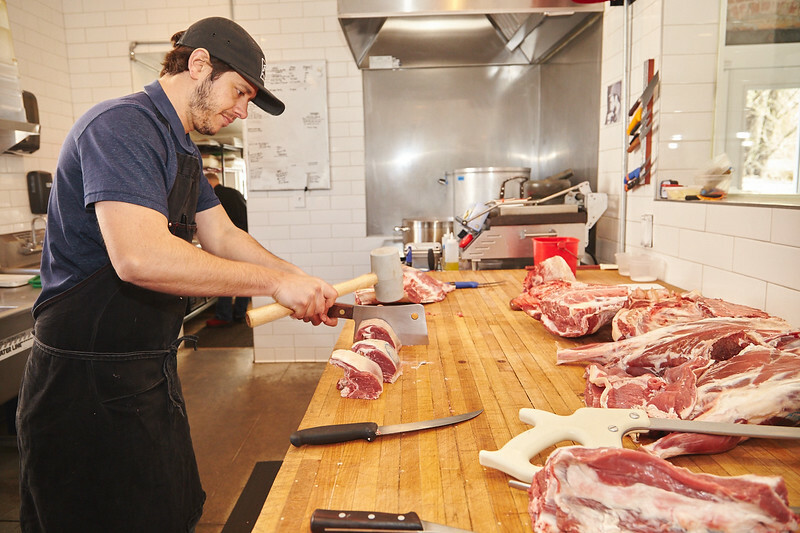 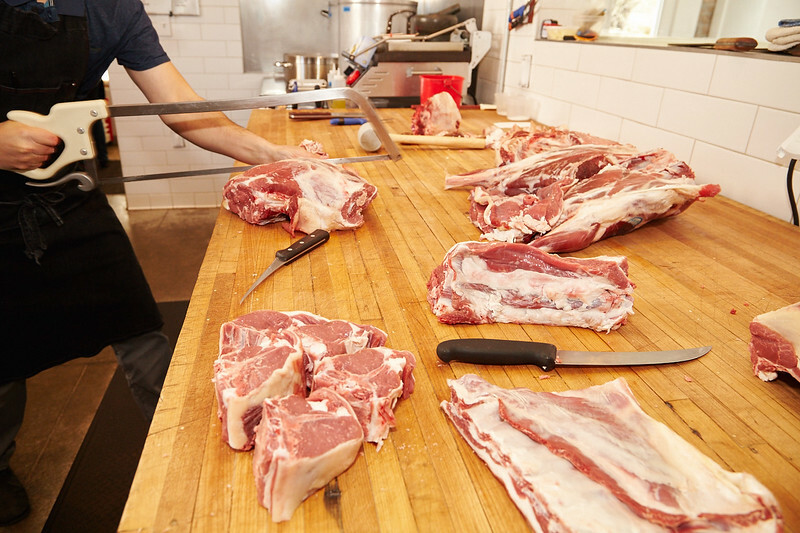 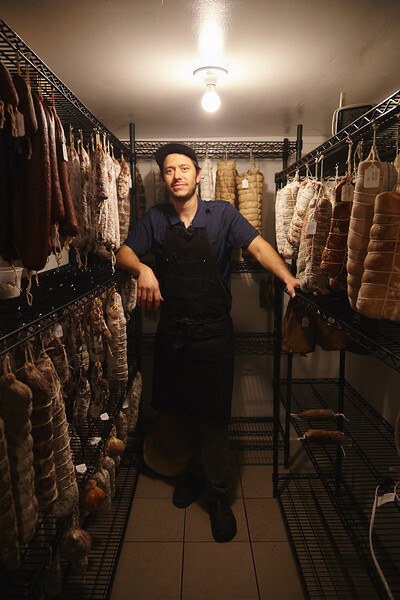 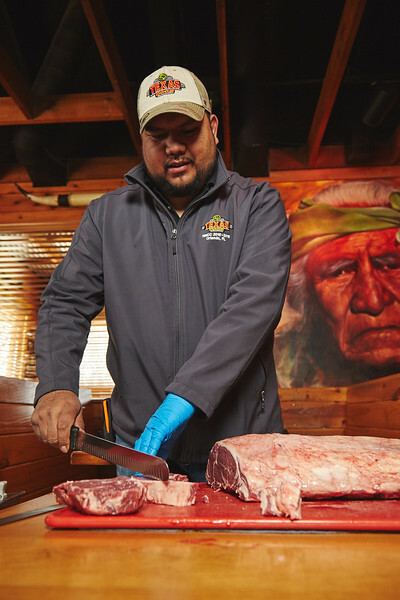 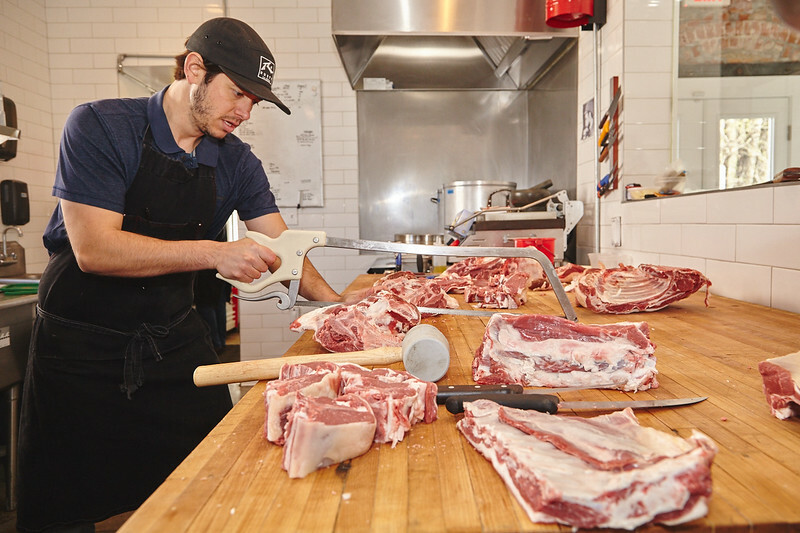 Owner Philip Grubisa has dedicated his skills to practicing the fading tradition and has studies with butchers all over the world. 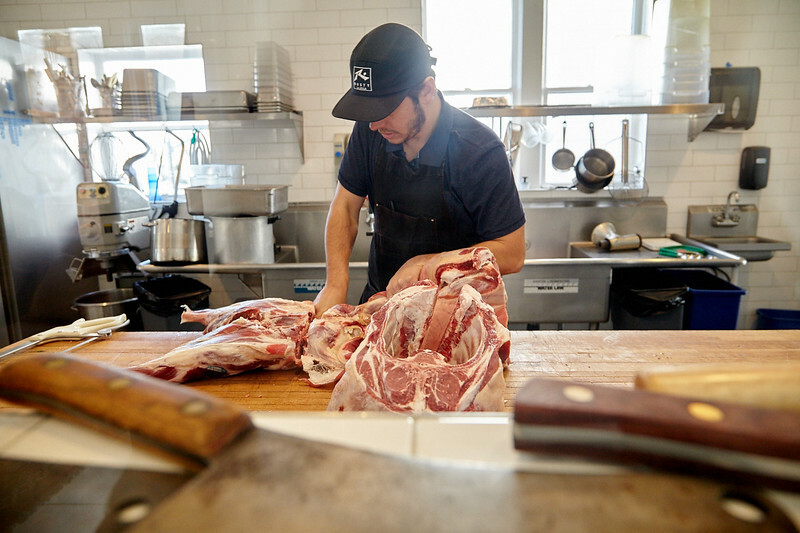 He butchered a goat during our visit, as well as showed us the shop's sausage cellar, another passion of his. 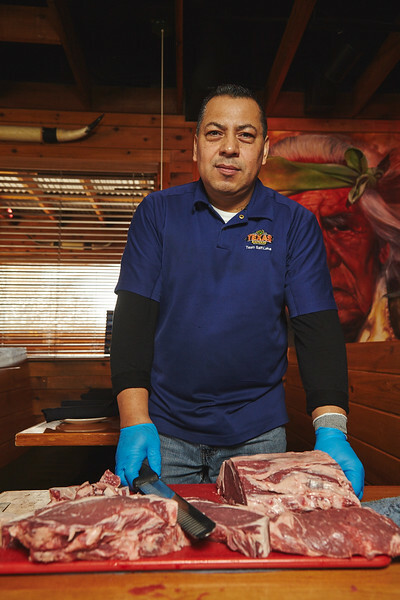 Texas Roadhouse meat cutters Adan Bonilla and Cecilio "Chilo" Villalobos both came to the United States from Mexico and started off in entry-level positions at the restaurant. 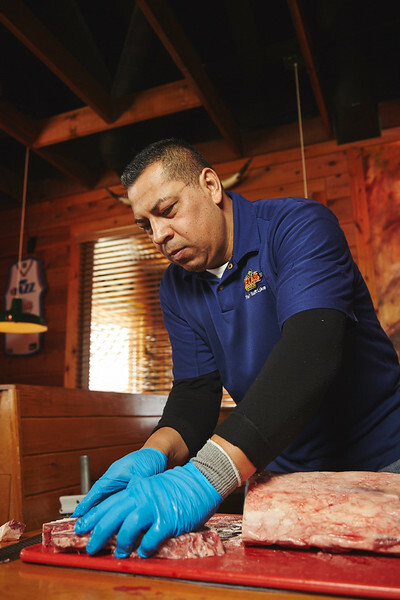 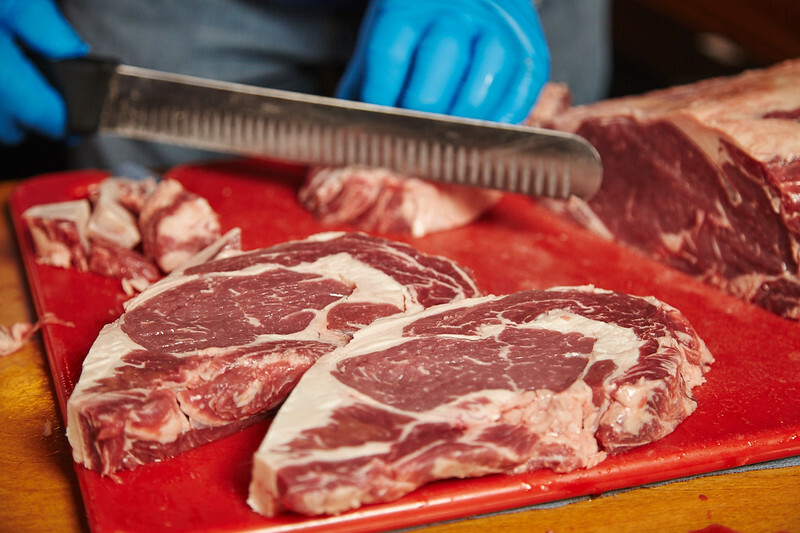 They refined their skills to become some of the best meat cutters in the state, participating in the Texas Roadhouse National Meat Cutting Challenge in Kissimmee, Fla., though neither one made it to the semifinals.